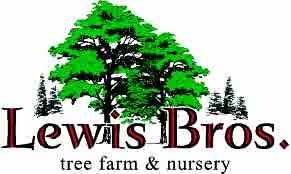 Do it the eco-friendly way with tree sales and services at Lewis Brothers Tree Farm & Nursery. Download our Price and Availability. Beautify your home with tree sales and services from Lewis Brothers Tree Farm & Nursery. Located south of Interstate 80 near Iowa City and Coralville, our experienced professionals are on hand to assist you through the entire selection process. As your trusted Iowa tree farm we will walk you through every step and provide the information you need to find the perfect shape, color, type and number of trees for your property. Whether you are looking to add to your landscape by investing in trees for your yard, or are a professional contractor in need of a large quantity supply, we’re here for you. If our excellent survival rates weren’t assurance enough, a 1 year warranty is also available with every tree we plant to provide you the peace of mind you need to begin investing in your landscape. By purchasing with Lewis Brothers you can be sure that your investment protected and will stay healthy. With full service delivery included for every tree purchased, planting available by our experienced staff, and our commitment to provide a Tree Health Care Program, we’re here to assist with every aspect of your tree planting project, large or small. Call today to find out more about what we can offer! Trees are often referred to as the “lungs of the planet” because of the oxygen they provide to other living things. Forests provide natural filtration and storage systems that process nearly two-thirds of the water supply.